Our MinistriesOur church is alive. On Sundays and during the week there are various ways to worship God and have fellowship. Find out more about our different ministries and most importantly: be part of it! Check out our sermons! Here you will find the IBCZ archive with sermons from the past 10 years, conveniently sorted by year. Here you will find sermon series on a specific topic, event or Bible text. You can listen to them online or download as an audio file. Every Friday morning at 7:00 a group of men who are eager to make a difference in their world and impact their community for Christ, gather on the 3rd floor at Zürich Main Station at the Oasis Restaurant to study God`s Word as they seek to apply it in their daily lives. The group includes single guys, husbands and dads who brave the early hours even in mid-winter, enroute to the office to share their own experiences and struggles as they endeavor to live godly lives in an ungodly world. If you would like to join this study, please contact William Colledge or the church office. 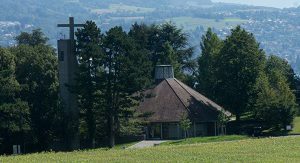 International Baptist Church of Zürich is an English-speaking Christian fellowship located in Rüschlikon, a suburb of Zürich. The congregation encompasses people from all walks of life, many countries, and from various denominational backgrounds. Subscribe to our weekly newsletter in order to receive the latest news, articles and prayer items.